When Leo was two he was obsessed with Thomas the Tank, I mean ob-sessed! His bedroom is still full of various bits of track, he has about five little Thomas trains and a James, Gordon, Harold the helicopter, Percy and, well, you know all the rest right? 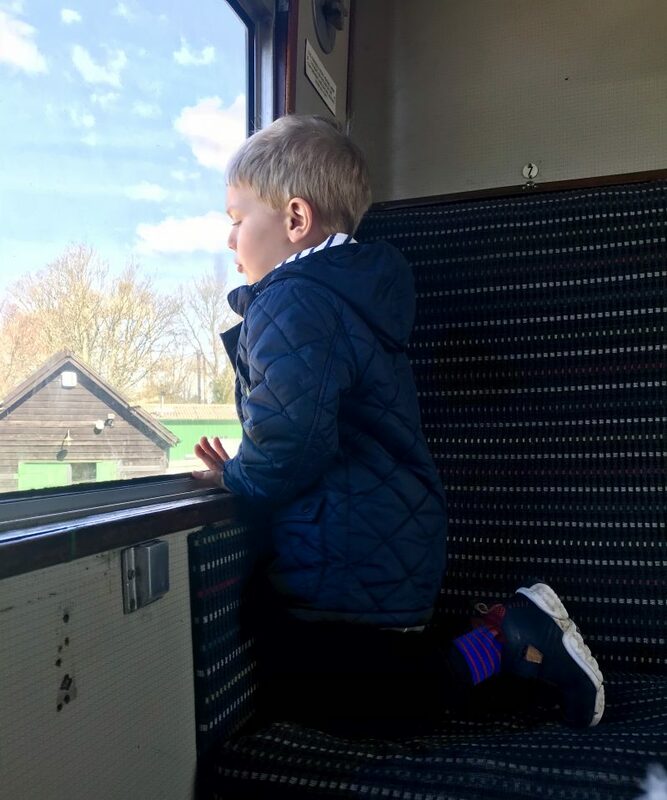 We took Leo on a Day out with Thomas at Eastleigh miniature railway when he was two and he loved it so when we were invited along to go for another Day out with Thomas, this time along the Watercress Line, I knew my Thomas super fan would be desperate to go. 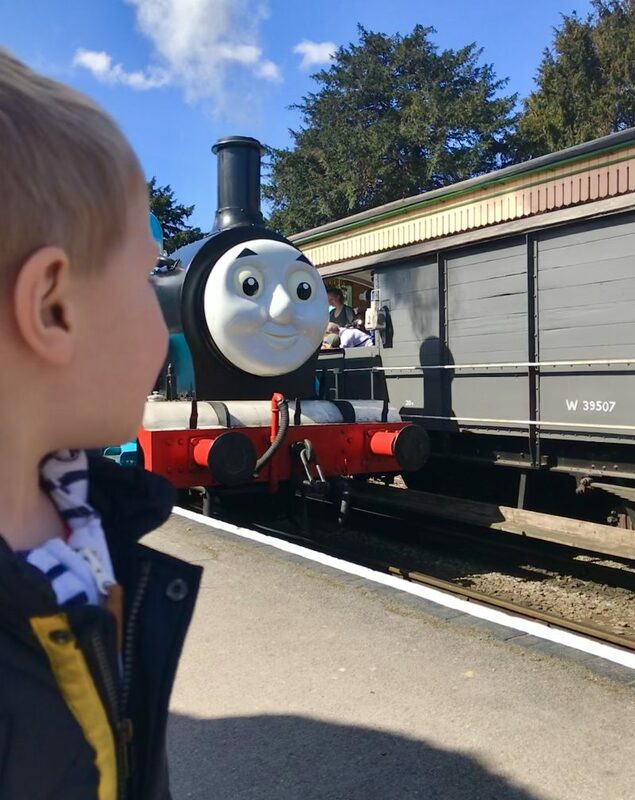 Last week, during the Easter holidays and on the sunniest day Hampshire had been blessed with in months, Leo and I headed out for a Day out with Thomas, singing the theme tune the whole way there in the car. 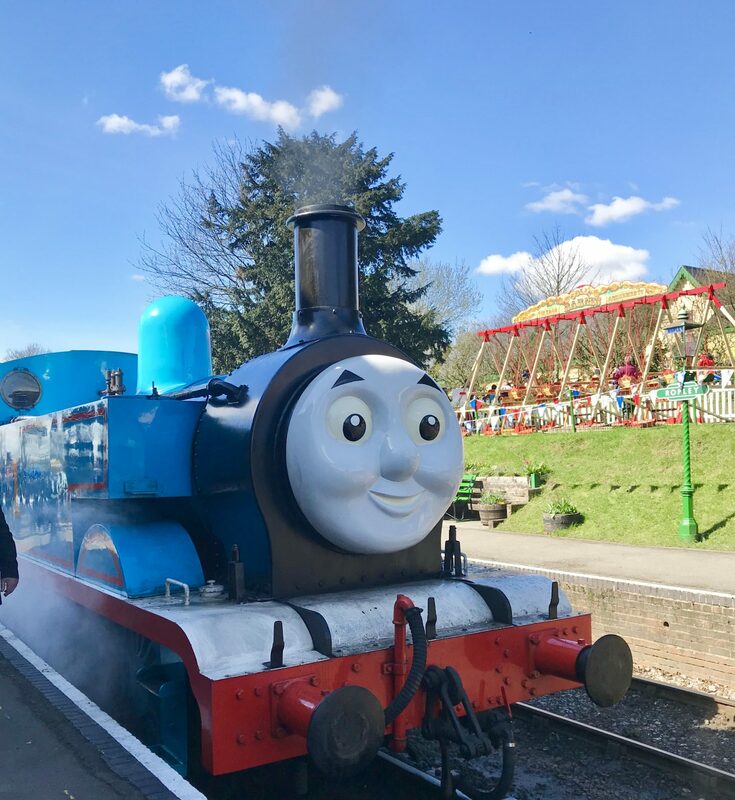 Thomas the Tank and his friends are very busy engines when they are chugging away being really useful on the Island of Sodor and they were just as busy when they came to Hampshire for the week too. The Watercress Line is 10 miles long and the steam engines make several trips around it all throughout the day. You can catch the train at either Alton, Ropley, Medstead & Four Marks or Alresford. We decided to park up a Ropley, there is a big field right next to the station where you can park for free and it was the easiest station for us to drive to. As soon as we arrived (still singing the theme tune) we showed our tickets and Leo was given a ‘Passport to Friendship’ and a certificate he could get The Fat Controller to sign later. He’s the number 1 engine. 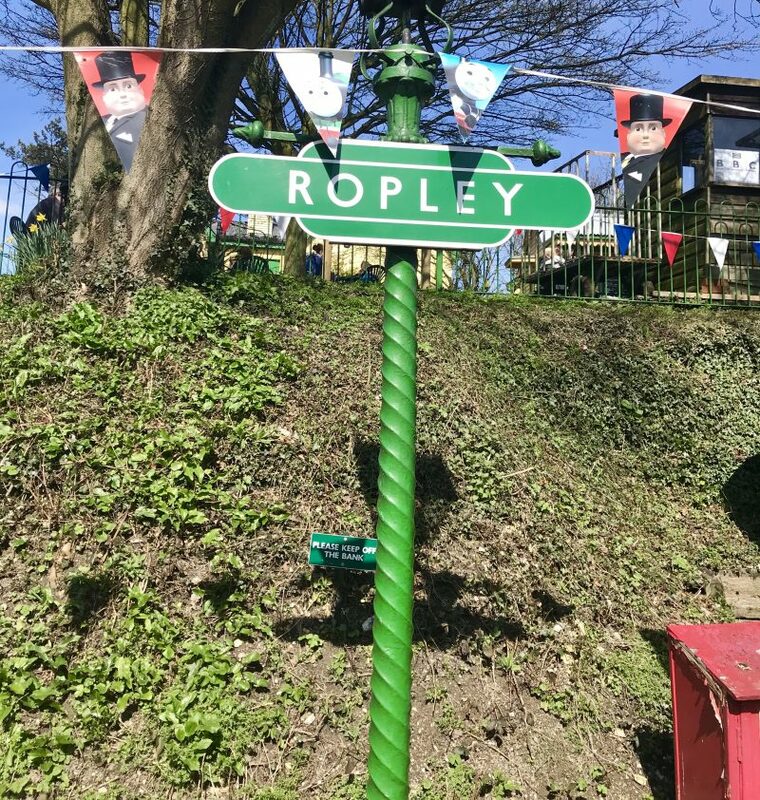 Ropley station looked amazing, there was Thomas and Friends bunting hanging everywhere, a vintage fairground with fun but child friendly rides and everywhere you looked there was something Thomas the Tank related. Leo was so desperate to see Thomas and we only had to wait a couple of minutes before we heard a click-clacking sound, followed by a noisy peep peep and then Thomas’s big smiley face appeared around the bend at the top of the track. Leo was so excited, he kept saying ‘it’s actual Thomas, Mummy!’ and jumping up and down. Thomas and his diesel friend, Toad, were giving short 10 minute rides in and out of Ropley station for the majority of the day. I am going to say it took us approximately 7.5 minutes before we clambered into Thomas, sat in one of the wonderfully old fashioned carriages and went chug chugging up the track. I don’t think I have ever been on a steam train before and it really is so different to the trains we are all used to. Leo and I loved pointing out all the different sounds and watching as the steam came shooting out of Thomas’s funnel and spread out in puffs along the platform. The rides on Thomas at Ropley station don’t last very long which I think Leo found a little disappointing but, despite it being busy, we didn’t once have to wait in a queue to have a ride and we were able to have multiple goes throughout the day. 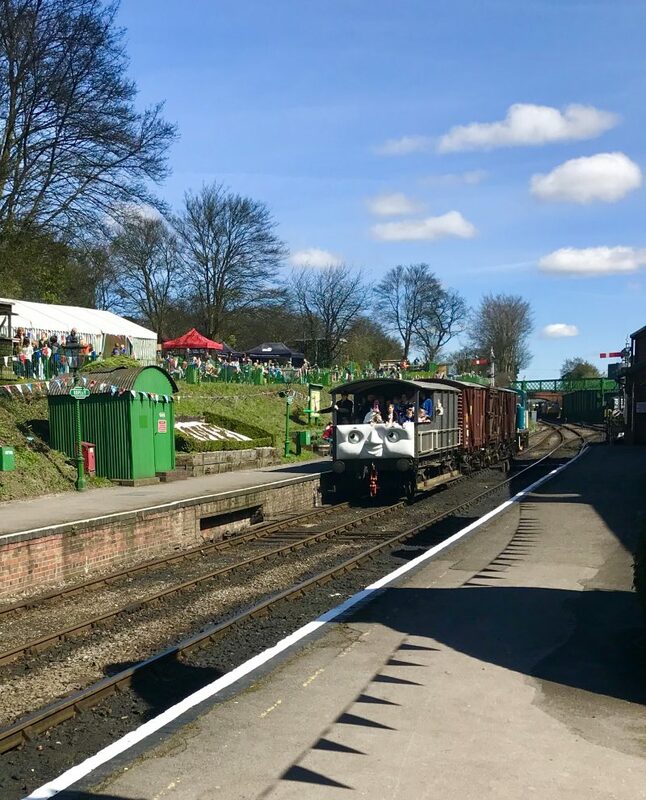 With your ticket you get unlimited rides on Thomas and Toad, the miniature railway and the big steam engines that were running between all the stations. After we had a go on Thomas, we ran over the bridge to Platform 2 and had a little ride on Toad the diesel train. This was a very bumpy ride as we all had to stand together on the front part of the train. It was fun though and no one fell over so that’s a bonus, Toad’s driver was very good at reminding us all to hold on to the sides. 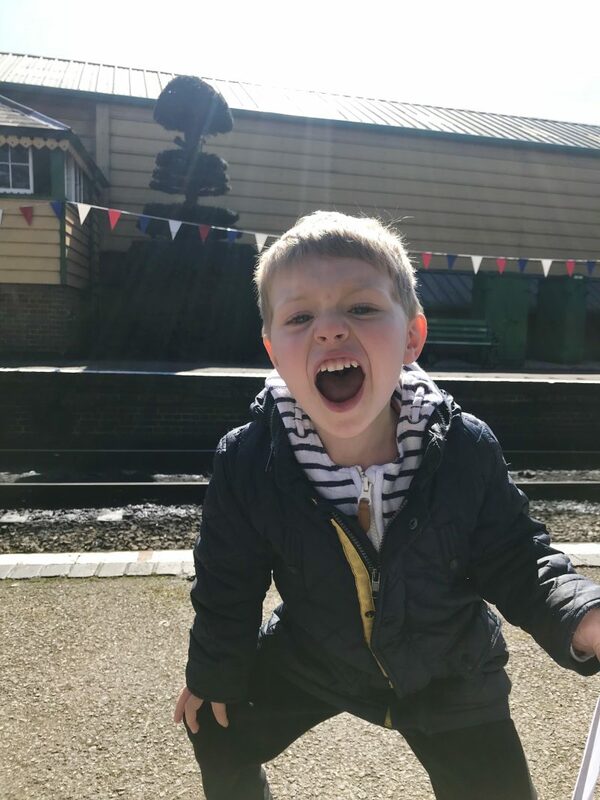 There was so much going on at Ropley station, we didn’t do everything though as Leo’s number one priority was spending as much time on the trains as possible. There was an imagination station where the children could get temporary Thomas tattoos and do some colouring in. 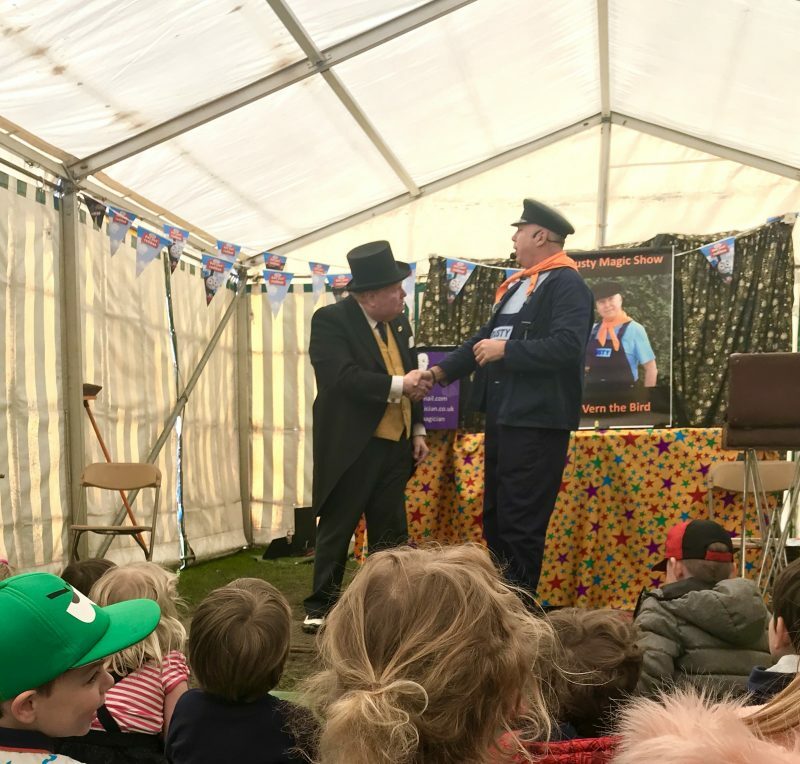 The Fat Controller sat and read stories and there was a magic show with three performances throughout the day. 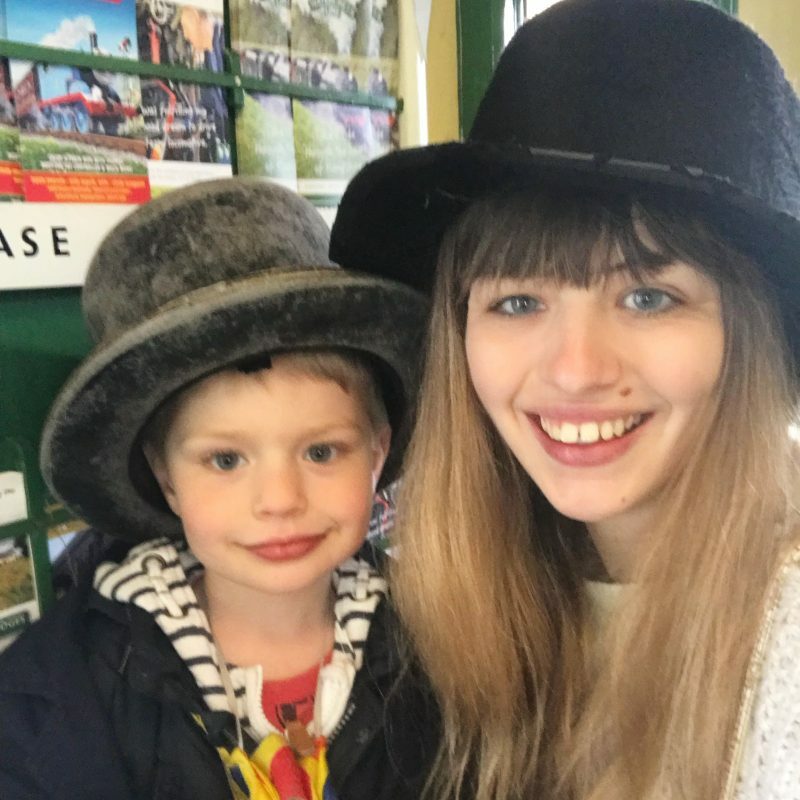 I convinced Leo we should watch the magic show but before he would even contemplate that idea he wanted us to hop on one of the big steam engines and go for a round trip along the Watercress Line. 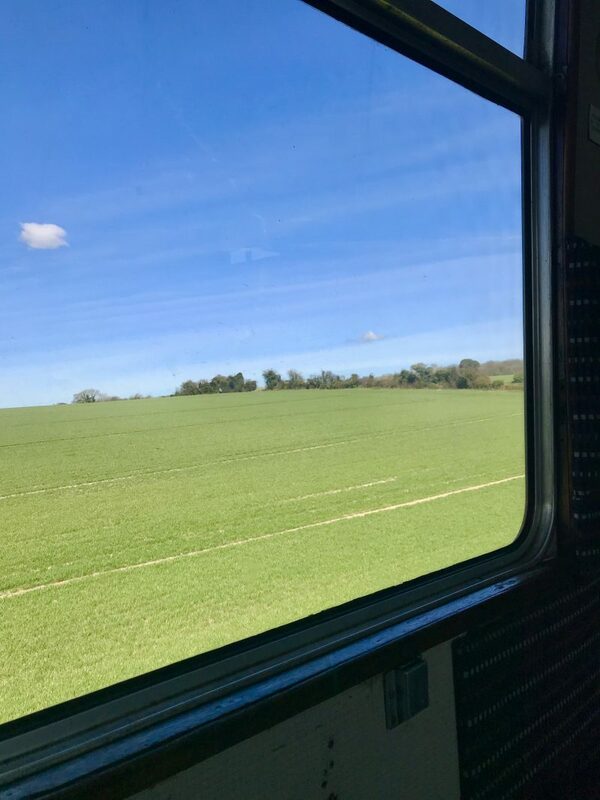 Sitting in a private booth with my boy, watching the beautiful Hampshire countryside slide past out the windows and listening to the rickety sound of the tracks below was really special. Leo kept swapping from having his nose pressed up against the window, to dreamily staring out of the window on the opposite side, before bouncing around all over the booth in excitement. The train stopped off at all the stations and there was enough time to get off and pop to the loo, gift shop or have a look around if you wanted. Leo didn’t want to, he was worried about someone taking our seats and he was having too much fun. As we started to head back towards Ropley though, Leo began to get tired and a bit irritable, it was time for food. On our way in to the station in the morning, Leo and I had spotted a big red bus selling cookies so we headed there for lunch. I bought Leo a lunch bag (freshly made sandwich, piece of fruit, a cookie and a drink) and I bought myself a baguette plus two giant cookies for Leo and I to share and a bottle of water. This all came to £11 which I was really pleased with, quite often at places like this the food prices are extortionate so I was more than happy to pay this for some handmade, fresh food. There is seating available on the top level of the bus (how cool?!) but Leo and I decided to head back to platform one to watch Thomas and Toad go up and down the tracks. 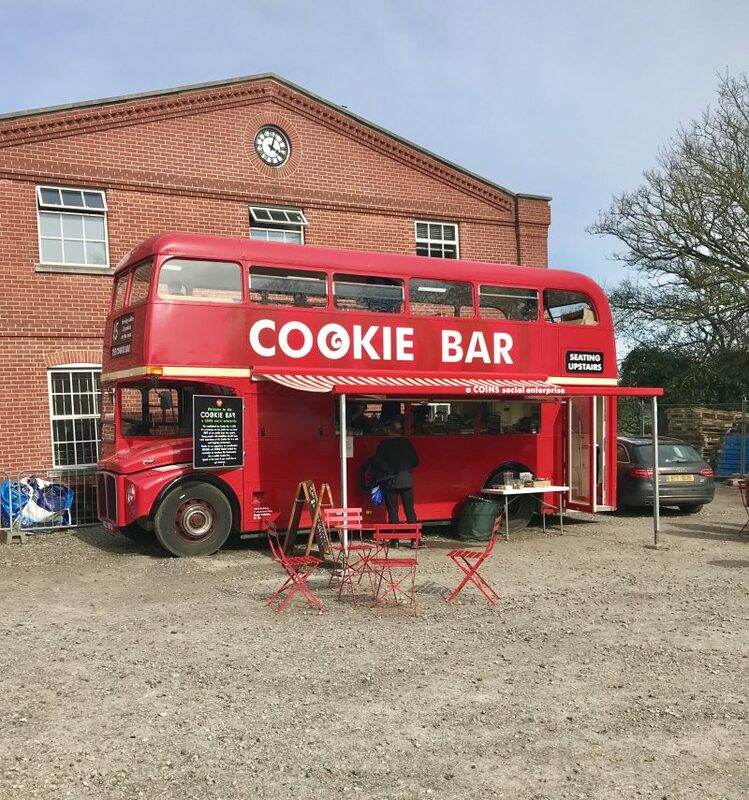 I wish I had a Cookie Bar bus parked up where I live! Once lunch was done, we headed over to the tent near the picnic area where Rusty was just about to start his show. 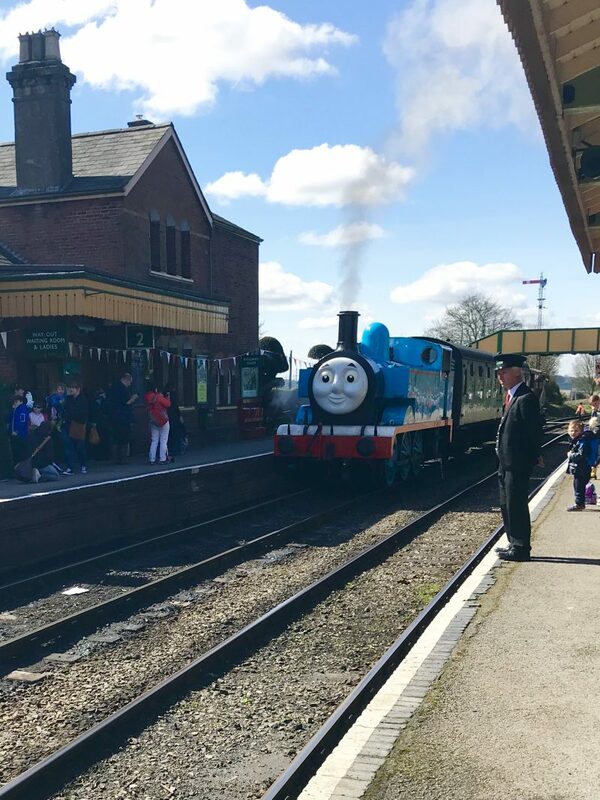 If you decide to go on a Day out with Thomas, you need to make time for this show, all the kids in the audience loved it. Rusty was great at making the kids laugh, getting them involved and he kept the Thomas theme running throughout his performance. 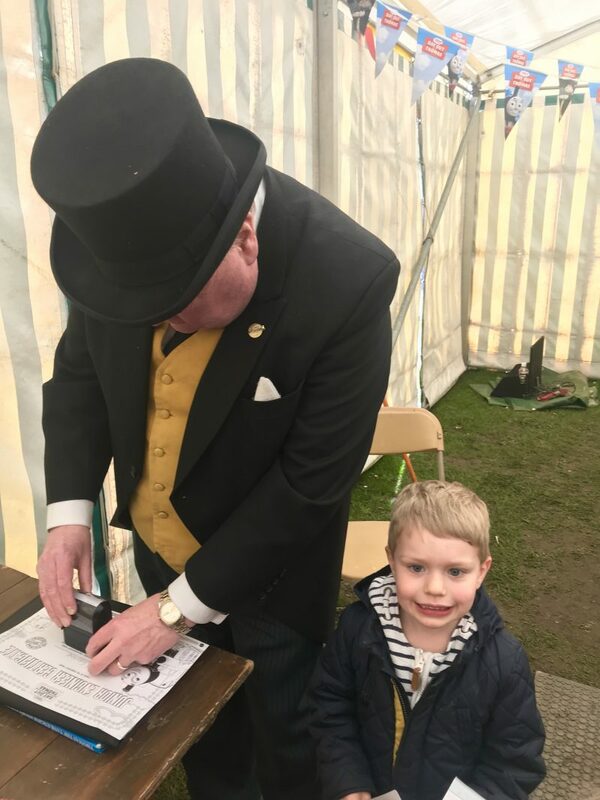 The Fat Controller made a VIP guest appearance and once the show was over, Leo was able to get his certificate signed and say hello to the big guy himself. 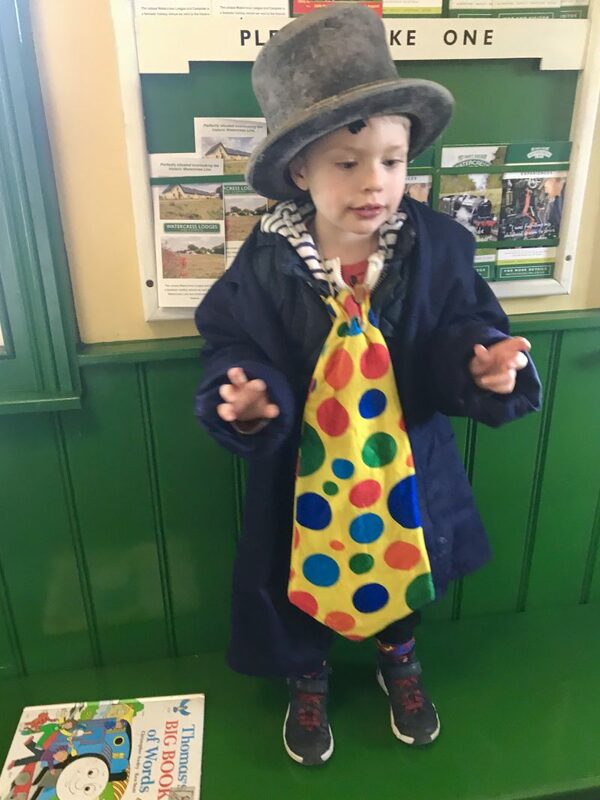 After the magic show, we strolled back down platform one and found a big dressing up box and a table full of stories in the station’s waiting room. Leo dressed himself up as The Fat Controller and insisted I wore a big hat whilst I sat and read him a few of the Thomas the Tank story books. We had lots of fun trying to balance this photo frame! We finished our day off by having a browse around the gift shop, I bought Leo and his brother Alex a little toy Thomas/Percy train. There was so much to choose from in the shop, I was surprised I managed to get away with no tantrums from Leo, who would usually demand everything in the shop. After we purchased our goodies, we headed back to the platform for one more ride on ‘actual’ Thomas. 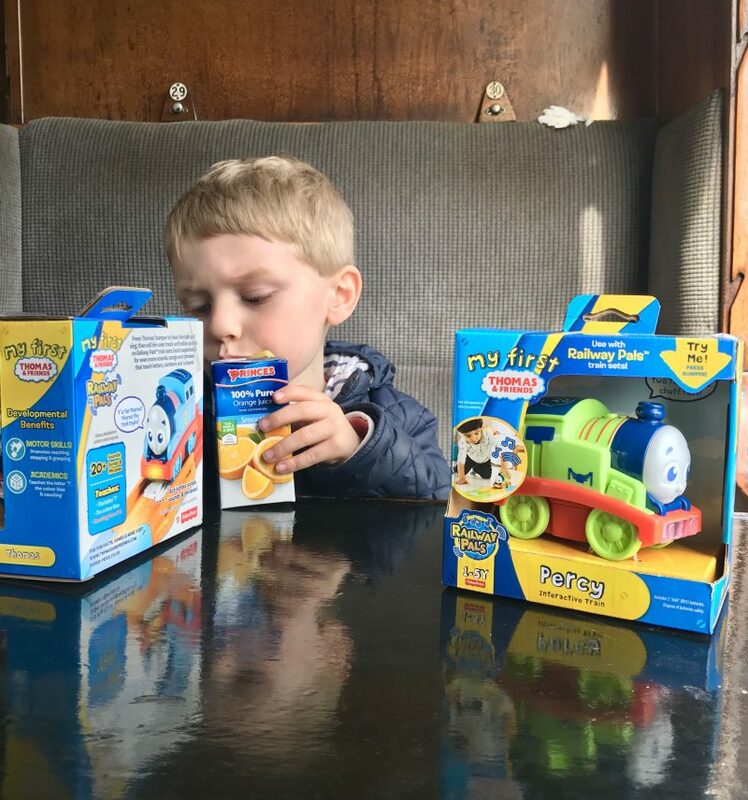 Leo had a lovely time and although he is not as Thomas obsessed these days, I could tell that he still adored that little blue engine and he found the whole day really exciting and magical. There are different activities going on at each station, you can find out more by clicking here. This is a buggy friendly day out, however it may be easier to use a baby carrier or smaller pram if you have one, just for more easy travel. The staff were very helpful though and I saw them helping several families get their buggies on and off the designated carriage on the trains. 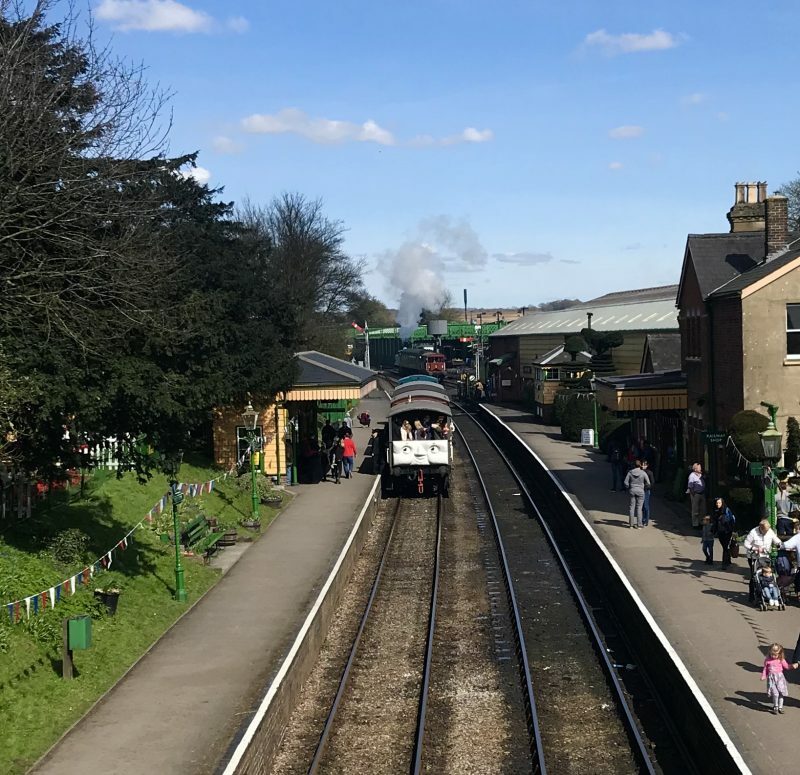 You can find out even more information and details about what to expect from a Day out with Thomas over on the Watercress Line website. 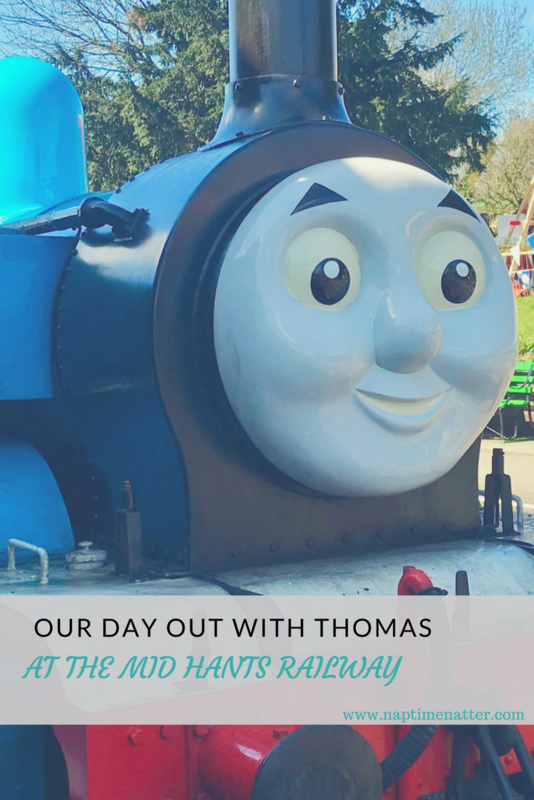 We loved our Day out with Thomas! 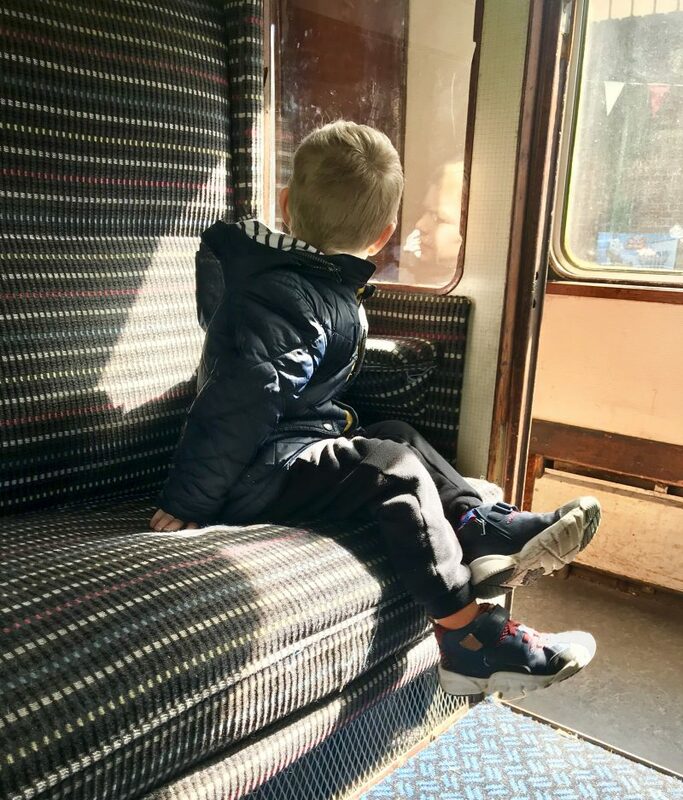 We spent so many hours chugging up the hills and round the bends of the absolutely beautiful Watercress Line and when the day was over Leo asked if he could do it all again tomorrow. 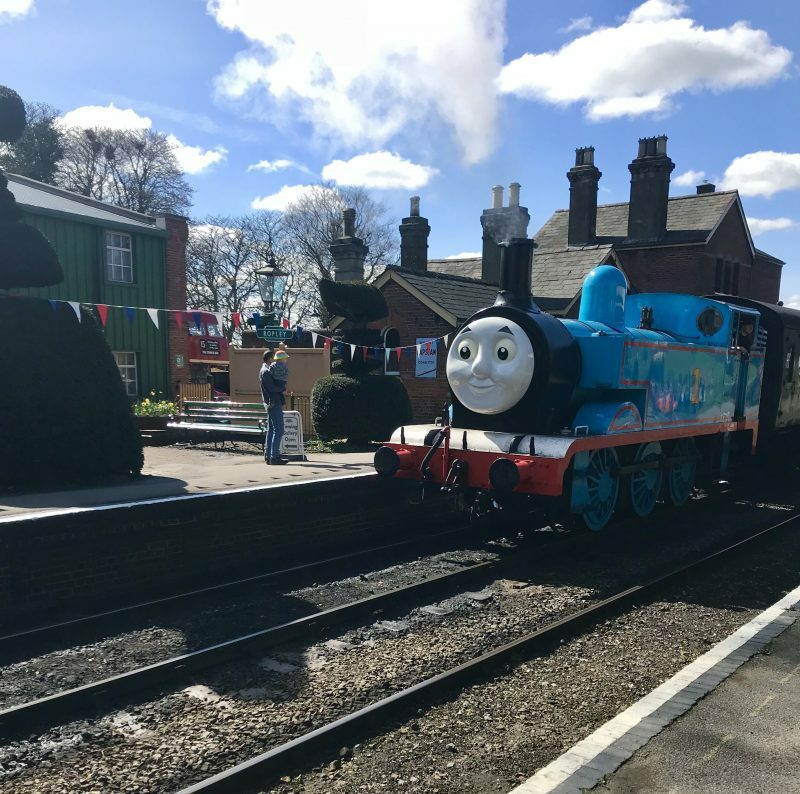 I think for everything that you get included in your ticket price, a Day out with Thomas is worth every single penny, especially if your child loves Thomas the Tank as much as mine. 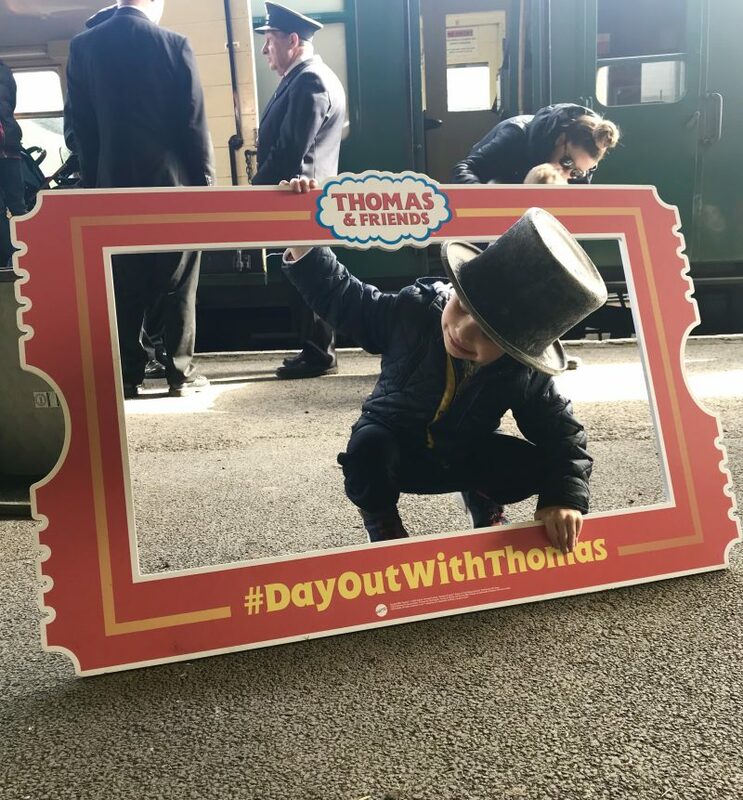 If you have been on a Day out with Thomas before, I would love to hear about your experience, drop me a comment and share what your favourite thing about your day was. If you have been umming and ahhing over going on a Day out with Thomas, I hope this review has helped you to make a decision. 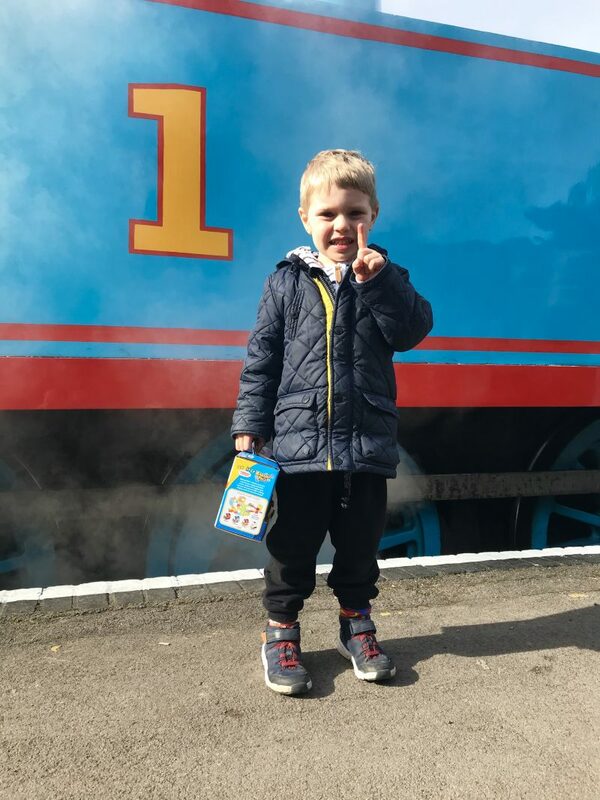 Disclaimer: We received a complimentary ticket for a Day out with Thomas from Mid Hants Railway in return for this honest review. All words and opinions are my own. Wow! Looks like you had a fantastic time! Can’t believe even the fat controller was there! 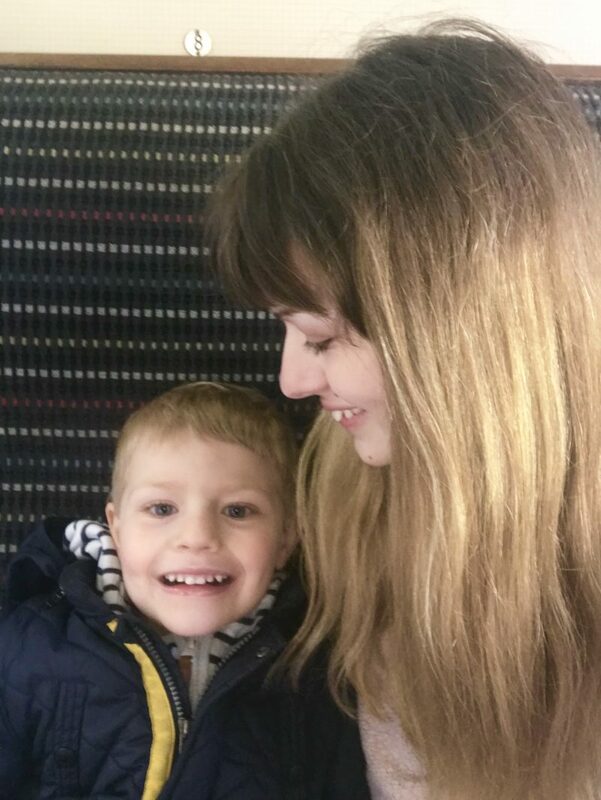 We did the Watercress Line at Christmas to see Father Christmas and it was so lovely. I knew they were doing the Thomas days and I meant to book to take Max but I completely forgot – I know he would absolutely love this! It looks like there’s so much going on too, it’s lovely to make a whole day of it. Oh that looks so magical ! My little guy would love it . He is obsessed with trains ! Looks like you all had a fantastic time . We’ve nothing like that here , it might be worth the trip across to see this ! This looks like so much fun – I think both mine would love it. We may look into it! I literally love this, I love the magic of a child’s minds. So glad you guys had an amazing day. HOW COOL IS THIS! The fact you’re able to actually able to sit in the train and get a full blown experience of it is amazing! I think its such a cool idea!